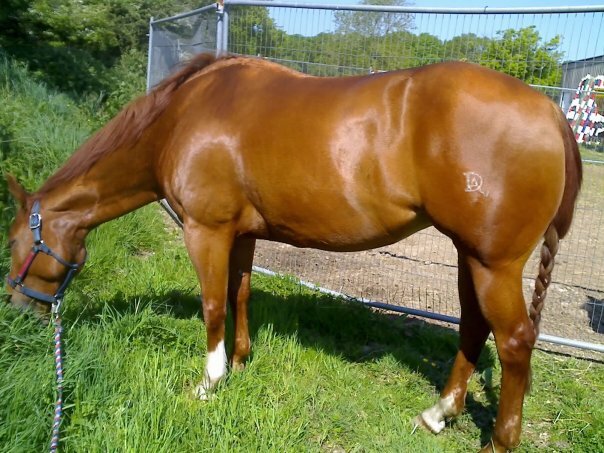 Riva ‘The Diva’ or ‘Chubbs’ as she was know to her friend was one of the nicest, kindest and most talented horses I ever had the pleasure of owning and showing. She was born on 8/3/98 in Gainsville,Texas. 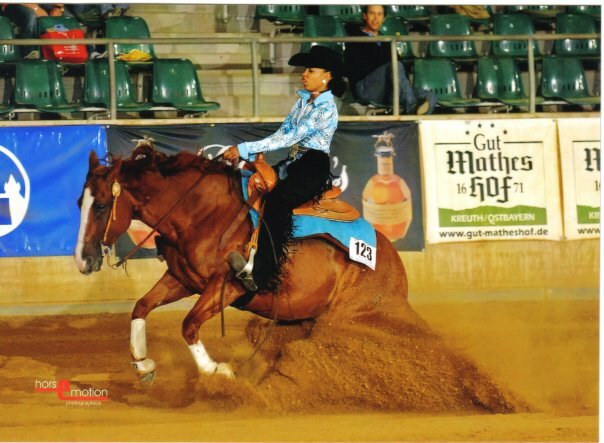 Daughter of NRHA million dollar sire Reminic. She came into my life as a 6 year old fresh from the States and we had an absolutely blazing show career. 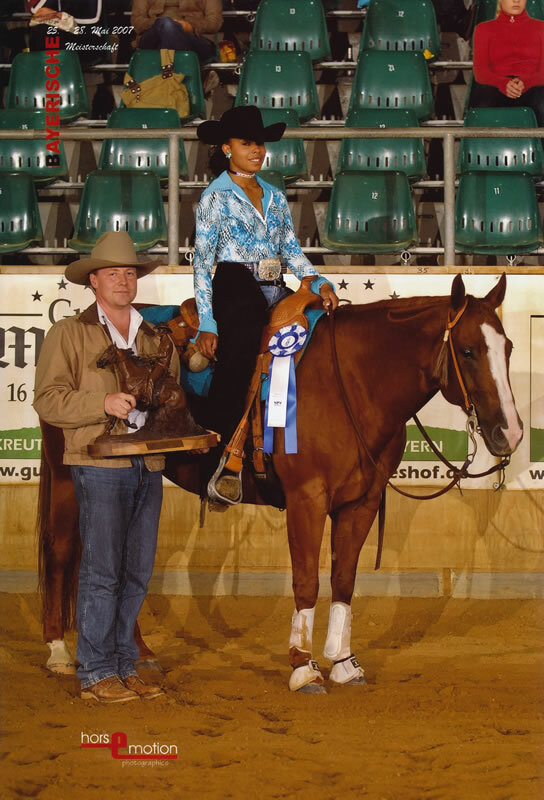 She taught me about Reining a new discipline to myself, helped me get selected for both the AQHA.UK Youth and Senior British Reining Teams and won SO many shiny prizes along the way! 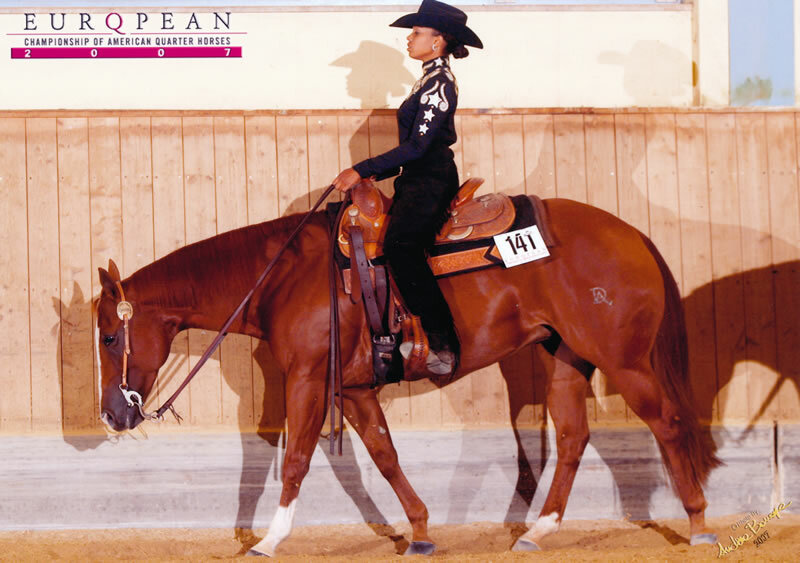 We won 6 European Titles together 3 being in Horsemanship which she had never done prior to our first attempt at the European Championships!! 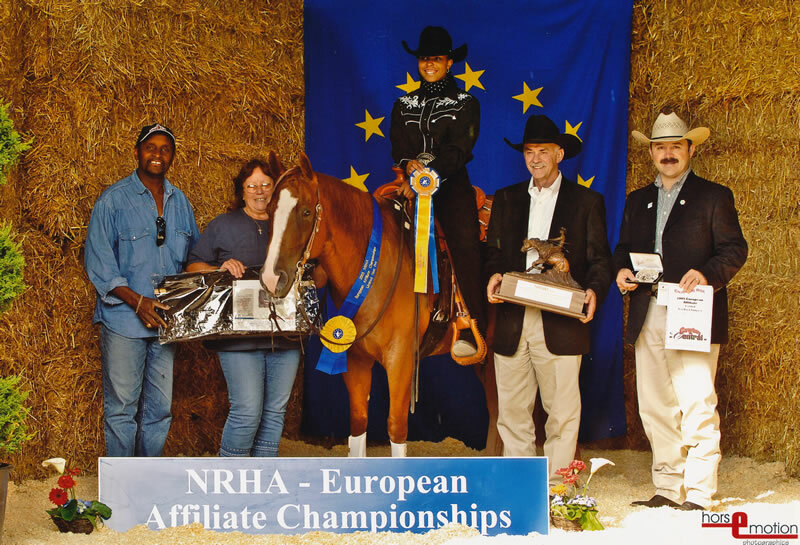 We travelled all over Europe together along side Serena, Tommy, Magic and Yella throughout our 4 year career. 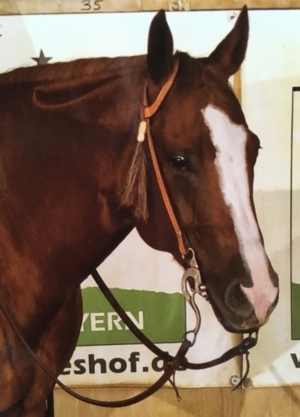 Riva and I finished our showing career together at the end of 2007 and after some time off in the field, she was purchased by Anita one of my first clients. For Anita it was love at first ride! 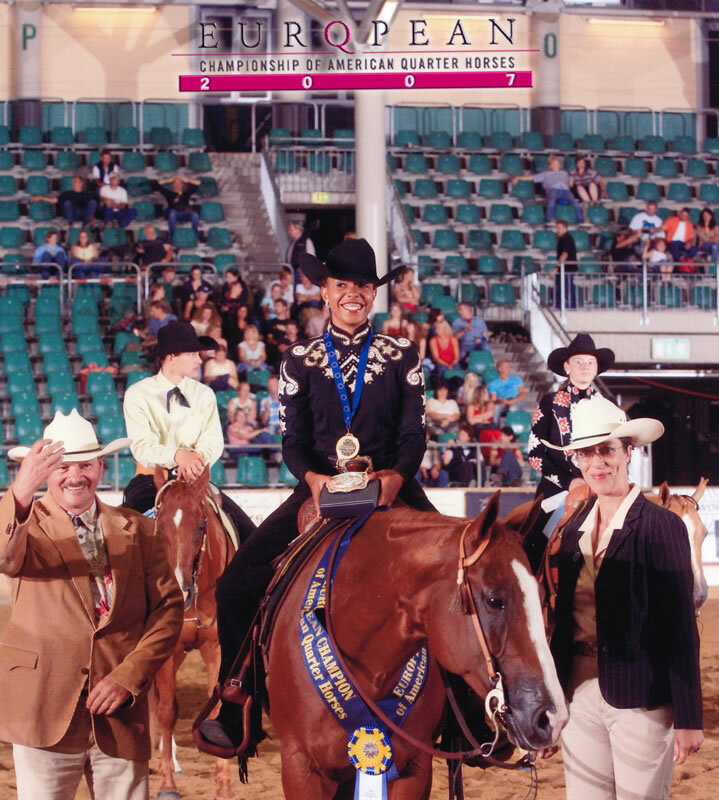 Riva went on to build Anita’s confidence and take her through her first year of AQHA showing. 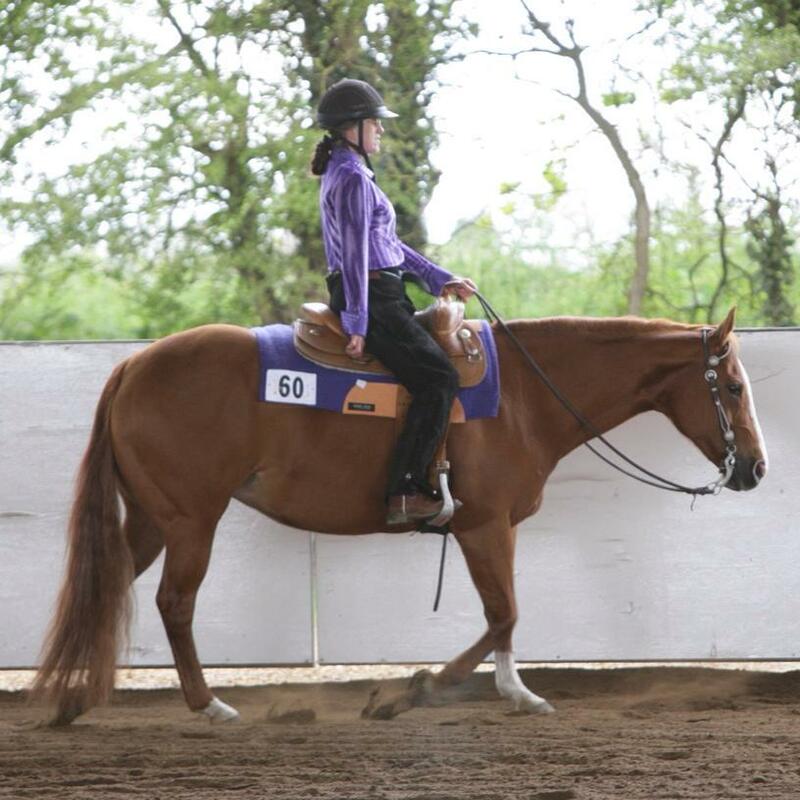 A truly amazing little mare!